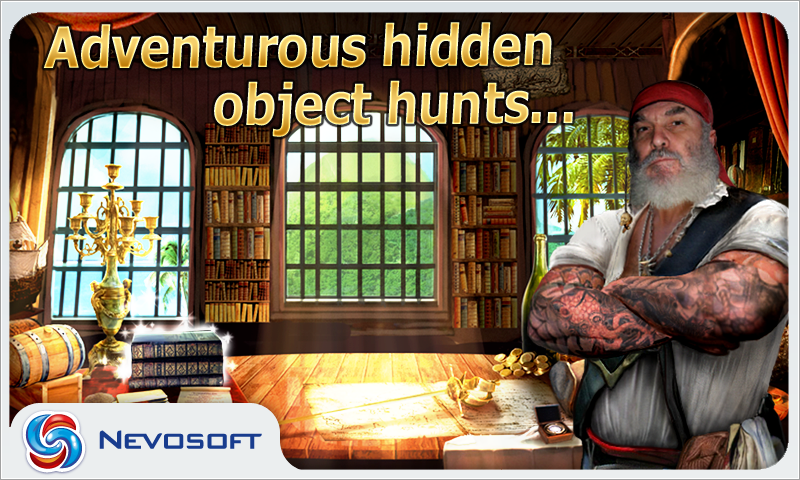 Nevosoft is proud to introduce Pirate Adventures for Android: an action packed hidden object game that will excite everyone who loves mystery and pirate romance! 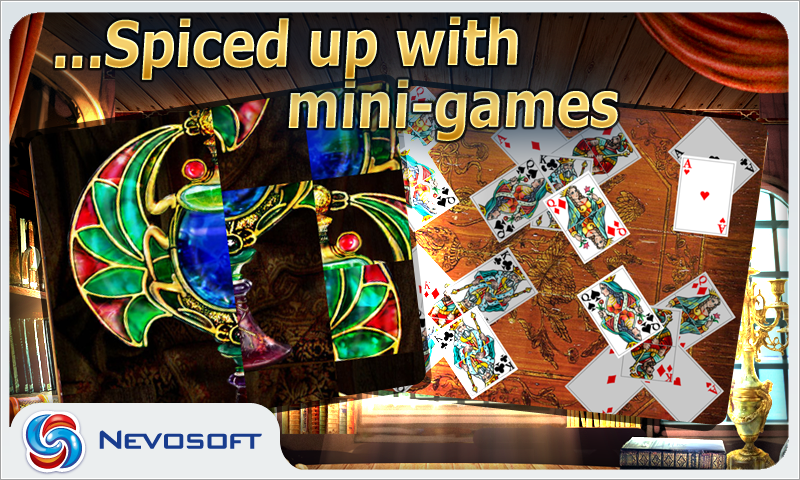 Once upon a time, a pirate named Sharpshooter Jack obtained a mysterious, ancient box. In order to solve the mystery surrounding the locked box, Jack travels to various locations, speaking with non-player characters and gathering clues that edge him closer to a big reveal at the end. Some of the locations you'll visit include a shabby coastal shop, a fortune teller's spooky quarters, the untidy room where Jack is staying and more. Along the way, you'll encounter an old associate, a former lover, a shop owner, a ghost and other characters, all of which have a purpose in the overall story. Trying to find out what’s hidden inside the box, Jack gets caught up in wonderful adventure! 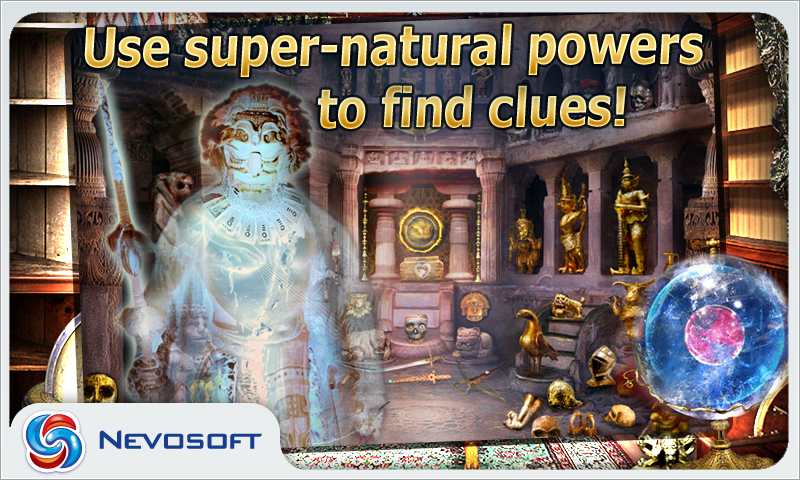 He will meet with ghosts and become a psychic, escape from prison and learn his destiny! Will he learn the secret of the ancient box too? The answer depends on you! 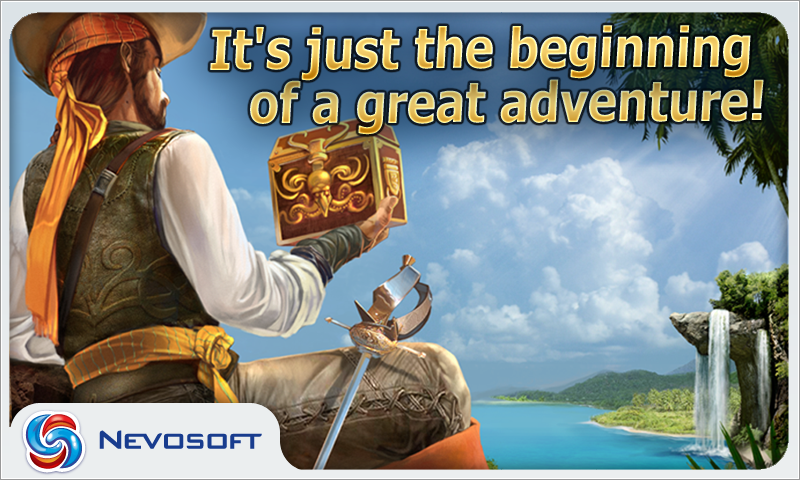 Nevosoft is proud to introduce Pirate Adventures for Android Once upon a time, a pirate named Sharpshooter Jack obtained a mysterious, ancient box. 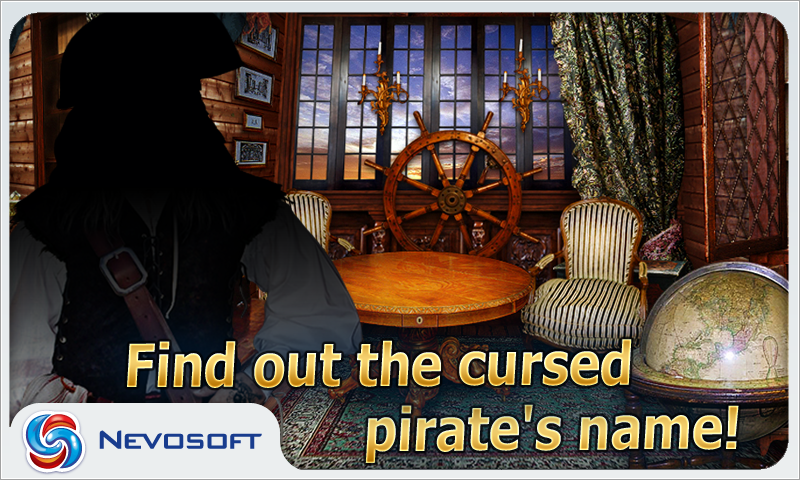 In order to solve the mystery surrounding the locked box, Jack travels to various locations, speaking with non-player characters and gathering clues that edge him closer to a big reveal at the end. Some of the locations you'll visit include a shabby coastal shop, a fortune teller's spooky quarters, the untidy room where Jack is staying and more.